Bullion is a term that refers to the actual purest form of a precious metal such as gold, silver, copper, or platinum. Bullion refined for investment takes the form of bars, otherwise known as ingots, rounds, and of course, coins. These types of bullion are bought and sold with the price having much to do with the silver market price at the time of sale or purchase. Bullion coins pose a slightly different scenario than rounds or bars. Although privately minted bars and rounds can have an additional value over the spot price due to rarity, where they were minted, or artistic embellishments, bullion coins create a level of rarity and collectability on their own. Their status, circulation, collectibility, and other factors will influence the price, with some coins even considered numismatic. Bullion coins are not intended for circulation or everyday use. These coins are minted for their investment value and worth to collectors. When bullion coins are scheduled for minting, much care goes into the design, artwork, presentation, finish, minting process, and certification. Each coin will be marked by its particular weight and denomination, but its value is normally noticeably higher than the actual worth of the precious metal. Many bullion coins are minted for major banks, dealers, brokerage firms, and world markets. The United States Mint produces gold, platinum, and silver bullion coins. This mintage began in 1986, and being from the US Mint automatically guarantees the purity and quality. There are two types of bullion coins available from the US Mint: Brilliant Uncirculated coins, and Proof coins. 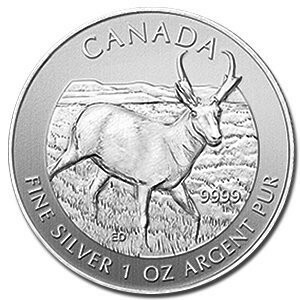 Proof coins are minted for coin collectors and sold in protective packaging that keeps the coins from oxidation and damage. These coins are considered proofs as long as they remain in their packaging and are not circulated. Proofs can be bought directly from the US Mint by individuals and other institutions. Brilliant uncirculated bullion coins are minted mainly for investment and they are not sold to the public. These bullion coins are minted and only available to authorized buyers. Like private buyers, authorized dealers pay the price of the bullion coins plus an additional premium or fee, then sell them directly to the public at a slightly higher rate. Bullion coins values will vary greatly depending on the market value and rare coins, ones that may not qualify as actual bullion, sometimes buy and sell for a high price similar to bullion coins because of their rarity or collector interest. Bullion coins that have been circulated, or taken out of the original protective packaging and used, will have a much less lower value then bullion coins that remain uncirculated. With the economy running through more volatile cyclical fluctuations and recessions, investors and individuals who want to invest in bullion coins for protection from financial fallout are purchasing bullion coins at greater levels than ever before. Bullion has been the choice for a stable investment in unsure financial times, and coins are a great choice to have. They are always worth at least the content of pure metal they contain, and can be traded and used as currency even more conveniently than bullion bars or rounds. The original and driving reason for minting bullion coins was the value and beauty along with collectability. Today, the world is in a state of possible financial disrepair and bullion coins are heralded more for the investment than their beauty or artistic worth.